Households with fire-prone tumble dryers are still being told they may wait up to three months to register for a repair, a consumer group has said. A year after a safety alert was first issued by Whirlpool, mystery shoppers for Which? were told that registering for a repair or replacement could take six to 12 weeks. 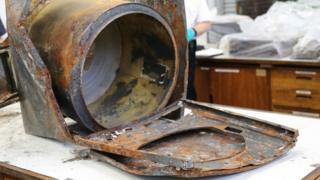 Whirlpool said it has now repaired two-thirds of the machines affected. And it has told the BBC that waiting times can be as little as one month. Fires have been caused by excess fluff, which can catch on the heating element. 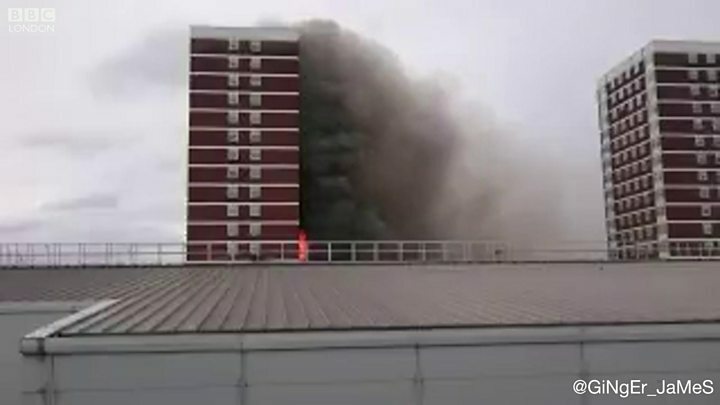 On one occasion earlier this year, a machine, awaiting a repair, caused a huge tower block fire in west London which left families homeless and needed 120 firefighters to bring under control. Some five million affected machines were sold in the UK, under the Creda, Indesit and Hotpoint brands, between April 2004 and September 2015. Whirlpool has been undertaking a repair programme and offering discounted replacements to anyone with an affected dryer. There has been criticism of the speed of these modifications and of the company's advice that the machines can still be used as long as they are not left unattended. At times earlier in the year, there were cases of people being told they must wait well over a year for an engineer to visit. Now Which? has criticised the company for call handlers quoting six to 12 weeks for customers to simply receive an ID number. A customer ID number needed to be issued before anything could happen in the repair or replacement process, the consumer group said. "It is absolutely unacceptable that one year on, Whirlpool customers are still seeing slow, poor service and potentially receiving incorrect and dangerous advice," said Alex Neill, from Which?. "Its modification programme is clearly not progressing as fast as it should." However Whirlpool said it was making good progress with repairs. "To date, 1.46 million consumers have registered their affected dryers with us. Of these, we have already resolved more than one million cases," a spokesperson told the BBC. "We are now able to resolve customer cases in as little as one month from the date of them registering their appliance with us for a modification, depending on location." Emma Drackford, from charity Electrical Safety First, said: "We believe that [Whirlpool] should put their customers' safety first and advise people not to use their machine, whether the consumer is in attendance or not. It is simply too dangerous." Whirlpool said its priority was the safety of its customers and it was doing everything it could "to ensure that the tumble dryer modification programme is carried out in a safe and timely manner". In a recent letter to the Commons Business Select Committee, it said: "We have made significant progress in improving our response times. "From the moment of registering an affected dryer with us, in the vast majority of cases customers are now contacted within a few days to offer an estimated modification date. The maximum waiting time for this, in exceptional circumstances, is two weeks," wrote Whirlpool UK managing director, Maurizio Pettorino.